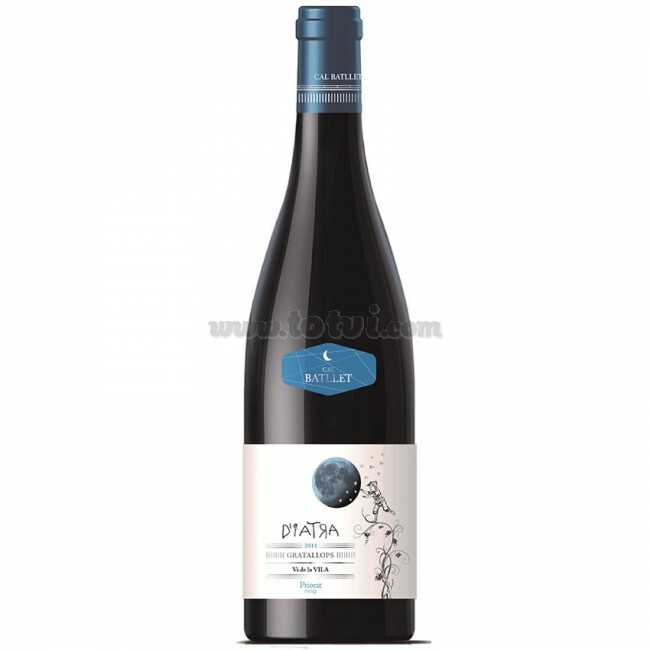 D'Iatra is a red wine coupage of Carignan, Grenache, Cabernet Sauvignon, Merlot and Syrah from old vines terraceses. It is a reflection of the wines from Gratallops: Es el reflejo de los vinos de Gratallops: round, balanced and ripe but with freshness, minerality and carefree to take something and enjoy. D'Iatra is a red wine coupage of Carignan (44%), Grenache (36%), Cabernet Sauvignon (16%), Merlot (2%) and Syrah (2%) from old vines terrace of moreprocedente de viñas de más de 40 años en terrazas. Wine full of fruit (cherries, plums, blackberries ...) that give it a tremendous freshness. The sweetness of the fruit and chocolate notes are perfectly balanced and accompanied by mild menthol and some very present balsamic. On the palate it is a kind, fresh and fruity wine. Good acidity and with the fruit very well integrated. It is the reflection of the wines of Gratallops: round, balanced and ripe but with freshness, minerality and carefree to take something and enjoy. Completely manual harvest. Double choice of the grape: in the vine and new choice in the entrance to the winery. Fermentation in a vat at a maximum temperature of 26ºC, manual overruns. 30-day macerations. Also fermentation in open boot with frequent pigeage and high process control. Aged for 12 months in boots of roure French Allier and Nevers. Ideal to accompany stews, cannelloni, rice, meat and some other dessert. It is recommended to decant before serving.